I love to teach yoga! I love to learn, practice and share the basic instructions and the subtle insights that make the practice of yoga a transformational experience. I love that yoga is not a performance art, but the art of processing and acting on challenges to our physical, mental, emotional and spiritual ideas. By observing these things with an open mind, we can peel away the layers of meaning that life has applied and see each moment for what it truly is. Mentally, emotionally and spiritually I have grown and continue to grow through this amazing practice. It doesn’t matter if you ever touch your toes!! Really!! What matters is the intention, attention, focus, effort, creativity and positive attitude you employ in the attempt. My job is to give you the benefits of the pose regardless of your ability. Read more about how we use props in the Iyengar system of yoga to meet your needs at www.iynaus.org. In 1994 I became certified to teach the Iyengar method of hatha yoga and pranayama and have studied and taught that method exclusively since then. I have studied with Mr. Iyengar three times and with his daughter Dr. Geeta Iyengar twice. I have studied frequently with senior instructors of this method and attended three national conventions. I also learn from other Iyengar yoga instructors and from my students. In 1989 I founded The Yoga Association of Houston and directed that organization until 2005. The purpose of the organization was to promote yoga and yoga teachers in the Greater Houston Area. 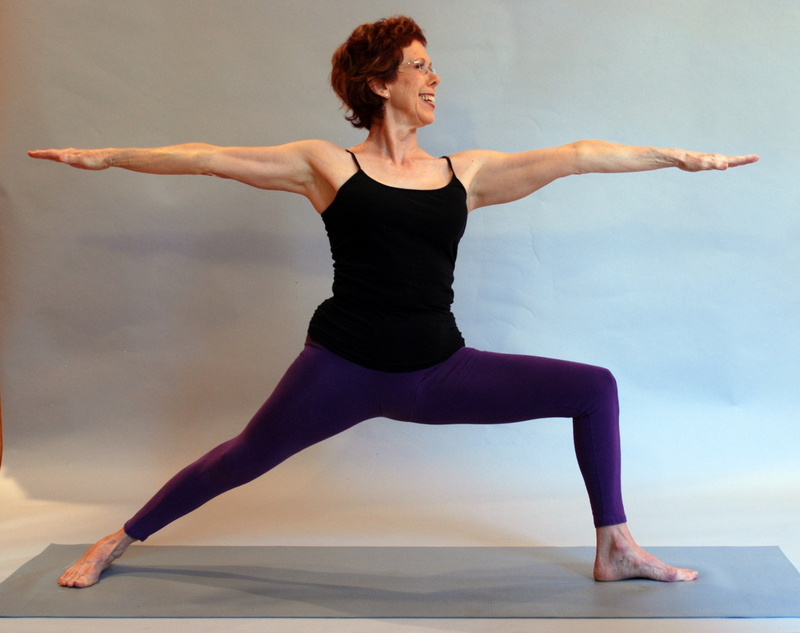 We developed a website with over 100 yoga teachers on full-page listings with photos. We hosted several fund-raising activities for breast cancer research and treatment at M.D. Anderson Cancer Center and The Rose. In 2002 I graduated from The University of Houston with a BA in History and a minor in Religious Studies. I find the History of Yoga a fascinating story and have presented that subject in several classes, retreats and conferences. Personally, my yoga life has supported me through many stressful situations. In 1967 and again in 1971 accidents fractured my spine and gave me whiplash injuries. By 1975 the chronic pain from those accidents sent me to a yoga class hoping for relief. I took my first yoga class with Billie Gollnick. Over the next 10 years I also studied with Lex Gillan and Robert Boustany. I got stronger and some symptoms disappeared, but I was still in pain. I heard about Iyengar yoga and began taking classes with George Purvis. It was an eye-opening transition, and I loved the logical, systematic approach that stressed technique, alignment and form over poor performance of a pose. In 1989 I was diagnosed with breast cancer! I had a double mastectomy and reconstruction, but fortunately I did not need radiation or chemotherapy. That experience gave me renewed focus and determination to help people live full and joyful lives through the practice and the philosophy of yoga. I am also an avid gardener. I am a Certified Organic Vegetable Gardener and a Certified Permaculture Specialist. I grow food and flowers on my standard city lot and have a beautiful garden space as well. I enjoy helping others build their gardens to enhance their environment and their health! I am a liberal vegetarian and I love to cook. I enjoy sharing recipes and sharing food. It brings people so close together in such a joyful way. Much of the joy in my life comes from sharing yoga, gardening and good food with others. It is also about refining and improving my knowledge through study, practice and the example of others. I would love to share this joy with you in a yoga class, in your garden or in your kitchen!